The lowest price of Gfive Z9 Combo of Two Mobile(Champagne Gold, Rose Gold) is Rs. 1,664. You can get the best deal of Gfive Z9 Combo of Two Mobile(Champagne Gold, Rose Gold) on Flipkart and you can also get the prices of other stores in India. 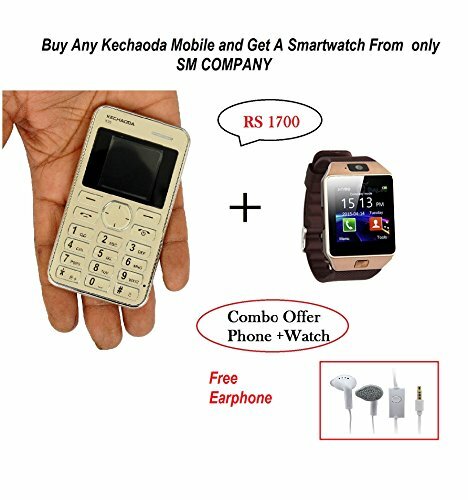 All prices are in INR(Indian Rupees) & normally valid with EMI & COD for all cities like Kolkata, Lucknow, Chennai, Mumbai, Gurgaon, Bangalore, Pune, New Delhi, Hyderabad, Ahmedabad, Jaipur, Chandigarh, Patna and others.. Kindly report for any errors found in specifications of Gfive Z9 Combo of Two Mobile(Champagne Gold, Rose Gold). All prices of Gfive Z9 Combo of Two Mobile(Champagne Gold, Rose Gold) last updated today i.e., April 23, 2019. G' Five Z9 | DUAL SIM | Light Weight Mobile Phone.Brand New Updated Version With 2200 mAh High Capacity Battery. 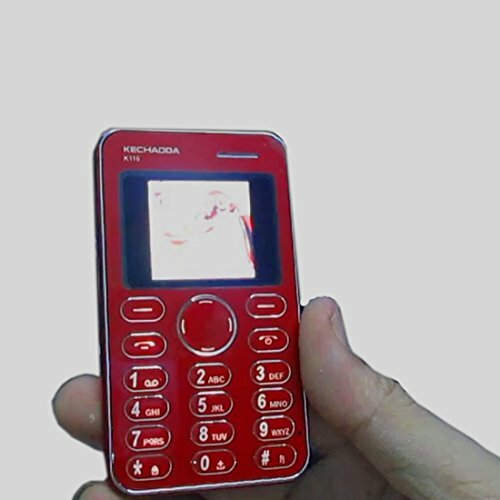 Gives longer Talk time.The mobile is fast moving in local market without any complaints. Solid Quality product.Frequency GSM900/1800MHz.LCD size 2.4"QVGA.Multimedia.FM RADIO;Music & Video playback.Camera Yes, Video Recording, Bluetooth(2.1).Battery Capacity 2200 mAh.Expandable memory card Support, up to 8 GB(T-FLASH CARD).Games.Main Functions: Internal Antenna, Clock, User Profile, Picture, FM radio, Additional Functions: Alarm, Calendar,Calculator, Stopwatch,Accessories.Battery-1 pcs.Travel charger-1pcs.User manual-1pcs. Price ofGfive Z9 Combo of Two Mobile(Champagne Gold, Rose Gold) in the above table is in Indian Rupee. The lowest and the best price ofGfive Z9 Combo of Two Mobile(Champagne Gold, Rose Gold) is Rs.1,664 On Flipkart. This productGfive Z9 Combo of Two Mobile(Champagne Gold, Rose Gold) is available on Flipkart. The prices of Gfive Z9 Combo of Two Mobile(Champagne Gold, Rose Gold) varies often, to be updated on the prices please check yoursearch regularly and get all the latest prices ofGfive Z9 Combo of Two Mobile(Champagne Gold, Rose Gold). This price of Gfive Z9 Combo of Two Mobile(Champagne Gold, Rose Gold) is valid for all major cities of India including Kolkata, Chennai, Lucknow, Gurgaon, Mumbai, Bangalore, New Delhi, Pune, Hyderabad, Ahmedabad, Jaipur, Chandigarh, Patna and others.